National military and veteran charity, Soldiers’ Angels, is partnering with the Atlanta Community Food Bank for monthly Veteran Mobile Food Distribution events that will provide food assistance to low-income Atlanta-area veterans and their families. Soldiers’ Angels Hunger Relief Program will be hosting the first Veteran Mobile Food Distribution on Friday, October 27th, 2017 at the Arcadia VA Clinic located at 250 North Arcadia Avenue, Decatur, Georgia, 30030. The event will provide food assistance to over 200 low-income, at-risk, and homeless veterans from the Atlanta Area. The distribution will be conducted in partnership with the Atlanta Community Food Bank. The event will be the first of what will now be a monthly event for Atlanta area veterans. 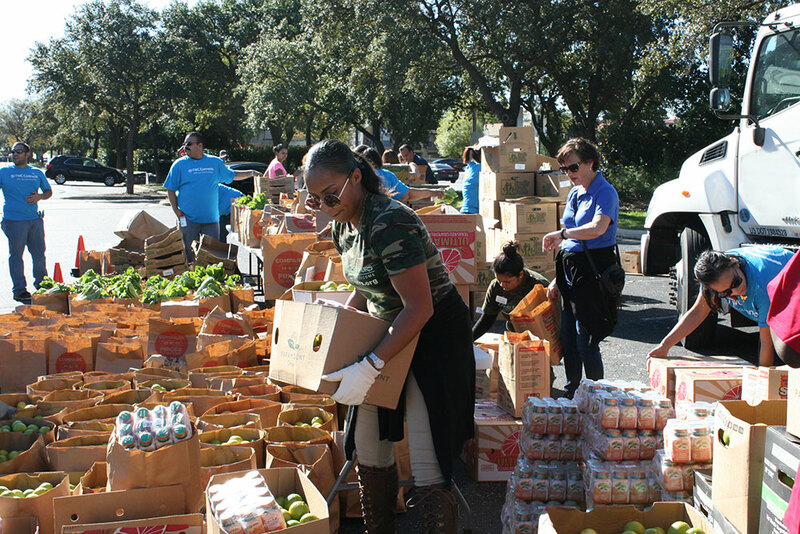 Soldiers’ Angels Hunger Relief Program is a nationwide initiative that was started in September of 2015 at the Soldiers’ Angels headquarters in San Antonio, Texas. The program continued on a monthly basis in San Antonio and was also established in four other cities across the country: Charleston, South Carolina; Denver, Colorado; Detroit, Michigan, and now, Atlanta, Georgia. When the program was first conceived in 2015, it took some time to get it off the ground in San Antonio. The event in Atlanta will likely follow the same course as San Antonio. However, Soldiers’ Angels feels confident that it will not be long before the demand for the Atlanta distribution rivals that of San Antonio. 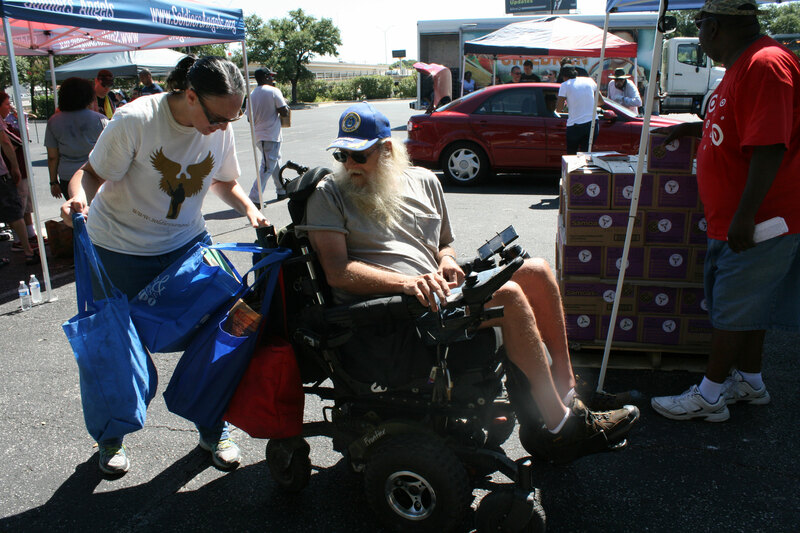 The Veteran Mobile Food Distribution has become a staple for the families served in other cities. Working with the local food banks at each location, the event provides approximately 50 pounds of food for the attending families. The food includes fresh fruits and vegetables as well as meats and non-perishables. Soldiers’ Angels partners with businesses, large and small, to sponsor the monthly events in each city. Some sponsors even offer the opportunity to their employees or members to volunteer at the event. If you are interested in becoming a part of this monthly event in Atlanta, Soldiers’ Angels will be continuously looking for volunteers and sponsors to help with the Hunger Relief Program. Contact Soldiers’ Angels at (210)629-0020 to learn more about assisting in this program. Or visit their website at http://www.SoldiersAngels.org to view the many other programs and services they provide for active duty service members, wounded heroes, veterans, and their families. About Soldiers’ Angels: Soldiers' Angels is a national 501(c)(3) nonprofit that provides aid and comfort to the men and women of the United States Army, Marines, Navy, Air Force, Coast Guard, their families, and the growing veteran population. Founded in 2003 by the mother of two American soldiers, hundreds of thousands of Soldiers' Angels "Angel" volunteers assist veterans, wounded and deployed personnel and their families in a variety of unique and effective ways. (Tax ID# 20-058-3415). Learn more at http://www.soldiersangels.org. About Atlanta Community Food Bank: The Atlanta Community Food Bank works to end hunger with the food, people and big ideas needed to ensure our neighbors have the nourishment to lead healthy and productive lives. Far too many people in our own community experience hunger every day, including children, seniors and working families.